Hey folks! 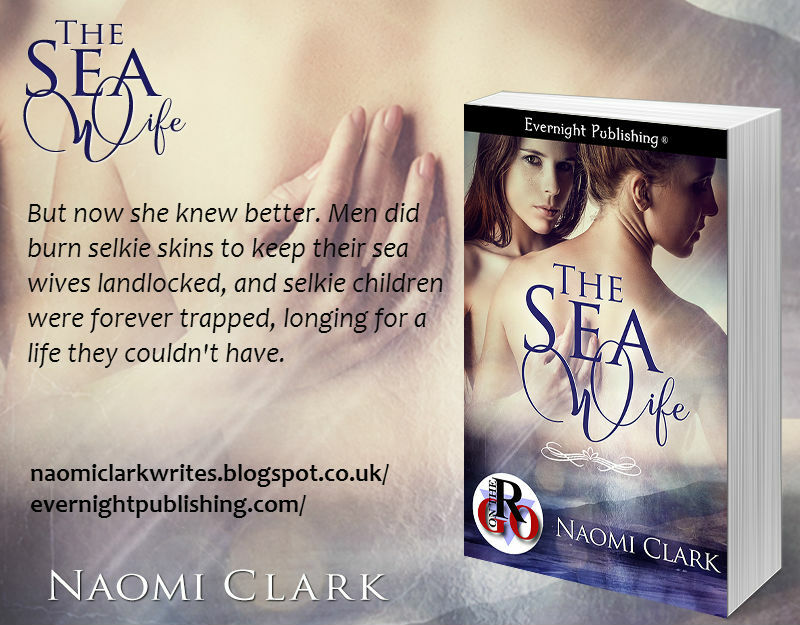 Today I’m happy to introduce you to Naomi Clark and her story The Sea Wife! 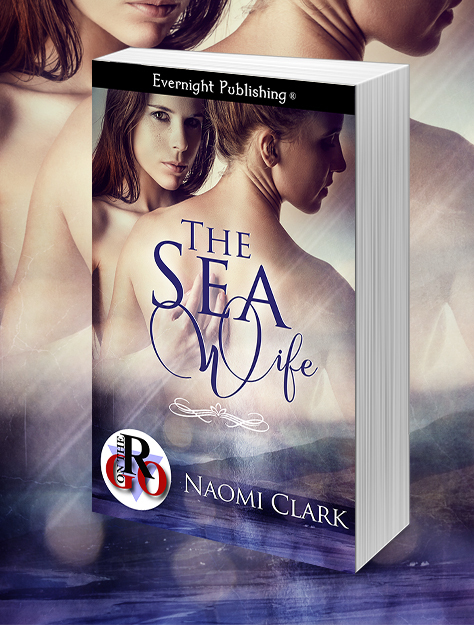 I wrote the very first draft of THE SEA WIFE way back in my university days – ten or so years ago now! I wrote a story then for a critique group about a doctor who finds a woman on the beach claiming to be a selkie. I left it pretty open-ended as to whether she really was, and the story was okay-ish received by the group. I liked it, but it was not a story to “do” anything with except make up part of my coursework. Still, the selkie thing stuck with me and last year I attempted to re-write it, figuring that ten years on, I could put a different spin on it, that my writing skills would hopefully have improved over the past decade, and that I could make this a story to “do” something with. But still, this story was knocking at my brain. I re-read it and realised I got bored of it because the plot I was developing was very similar to that of THE BEAST OF BIRCH HILL, and I think one should only write so many stories where “regular human meets shapeshifter, romance ensues.” I decided if I was going to write THE SEA WIFE, I still needed to find that different spin. And now I think I have. I hope you all like it! Frantic barking jerked Charley awake. She lifted her head, blinking sleepily, and found Nessa dozing next to her, one arm thrown over her face, the other draped across Charley’s hip. Charley shifted her arm gently and sat up. Pale sunlight streamed into the cave mouth, sparkling off the water filling the cave. A sudden, choking anxiety gripped Charley and she shook Nessa less gently. Nessa sat up and stretched. “It’ll just be under the water, Charley.” She slipped off the ledge, splashing gracefully into the waist-deep water. She ducked under and disappeared for a few minutes. Charley held her breath, counting the beats until Nessa resurfaced. The dog barked outside the cave again, high-pitched and over-excited. A boy shouted, telling the dog to hush and back off. A spark of anguish lit Nessa’s eyes and she pulled free of Charley, racing to the cave mouth. Charley followed instinctively, ignoring flashes of pain in her feet as she cut them on jutting rocks. Nessa was already over the barrier at the cave mouth, almost throwing herself over them. Charley slipped and skidded as she followed, cracking her knee as she stumbled onto the beach. Naomi Clark, thank you for stopping by today!